#CreateFearlessly with Hamilton Beach - A Rose Is A Rose Is A Rose! When Celebrity Chef and Restaurateur, Bobby Flay, said “Grilling means good times, good friends, and hopefully, great food”, he must have seen KG grilling and barbequing on our charcoal grill outside in the garden or terrace. Grilling meat and vegetables as starters is always on the menu when we have get-togethers at home. While grilled food is a hot favourite during any time of the year, the weather is far from perfect for grilling outdoors, most of the time. 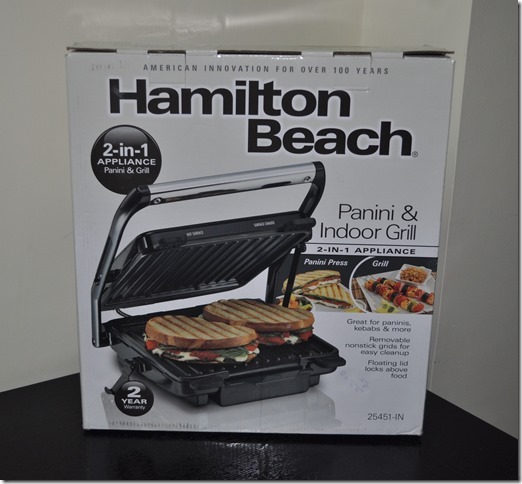 So, when I got the Hamilton Beach Panini Press and Indoor Grill, through Blogadda, I was simply thrilled. I knew that this is one appliance that would be used extensively at our home, all year round. The day we received this Panini Press and Indoor Grill, we had a dinner party at our friend’s place. We decided to unbox and use this product at their place. Yes, we are pretty cool that way! So here’s the unboxing video that we shot at our friend’s place. The first dish that we made using this appliance was Marinated Grilled Chicken. Here’s how it finally looked. Needless to say, that it was so delicious that we polished off every last bit in few minutes! Spread chicken pieces in a shallow baking dish. In a medium sized bowl, stir together yogurt, red thai curry paste, ginger-garlic, lemon juice and spices. Pour yogurt mixture over chicken and stir to coat. Allow chicken to marinate at least 2 hours (up to 24 hours). Preheat Panini Press and Indoor Grill. Place the marinated chicken pieces on the cooking plate. Grill for 5 to 8 minutes each side until juices run clear when chicken is pierced. Serve with dressing, if desired. 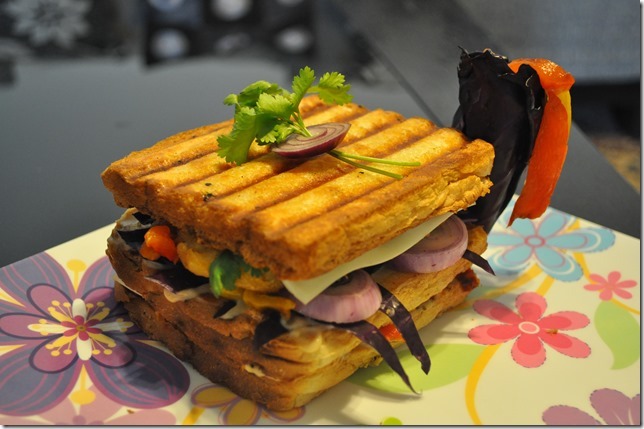 The second dish that KG made the next morning was Cheese Aloo Tikki Vegetable Sandwich. You know he is the resident master chef of our home! Grill the red and yellow capsicum, skin-side up, for 10 minutes or until charred and blistered. Transfer to a sealable plastic bag. Set aside for 5 minutes (this helps lift the skin). Peel skin from capsicum and cut into 1cm-thick strips. 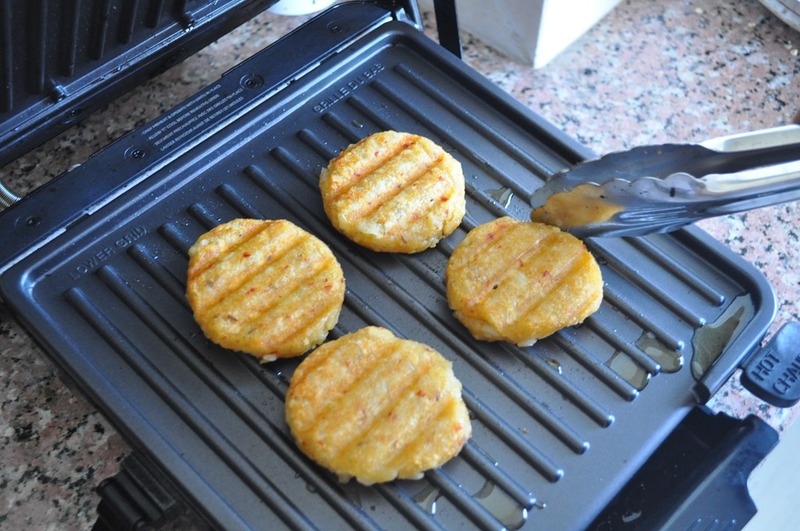 Grill the aloo tikkis too. 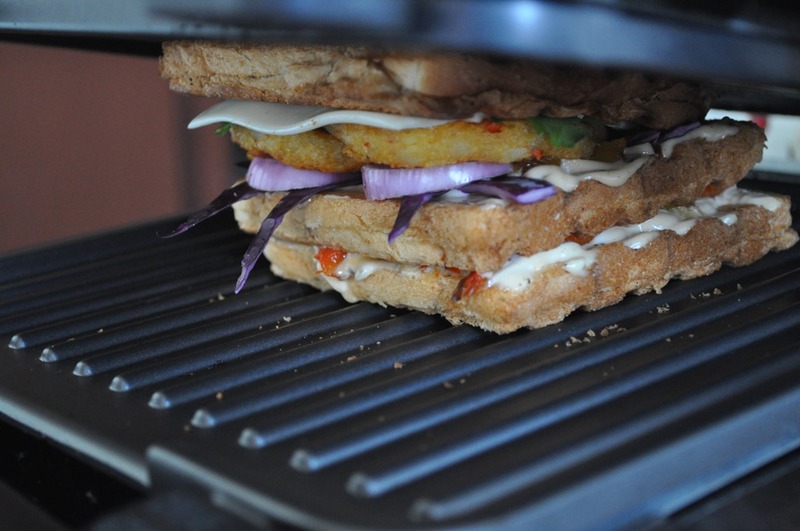 Place 3 slices of bread, butter down, on the panini press. Cook for 3 to 5 minutes or until desired brownness. 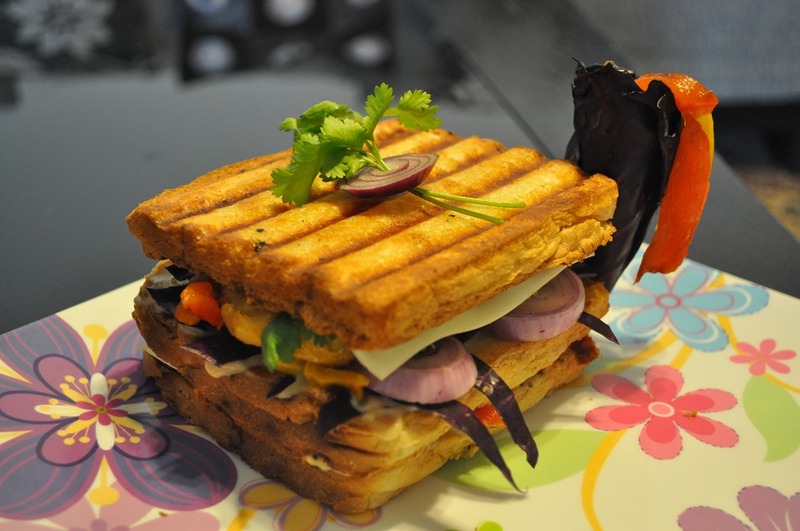 Different types of sandwiches are making an appearance on our dining table and so are the grilled vegetables and meat. And we are so loving it! This post is a part of #CreateFearlessly activity at BlogAdda in association with Hamilton Beach. Check out exciting videos and recipes by following #CreateFearlessly on Twitter. 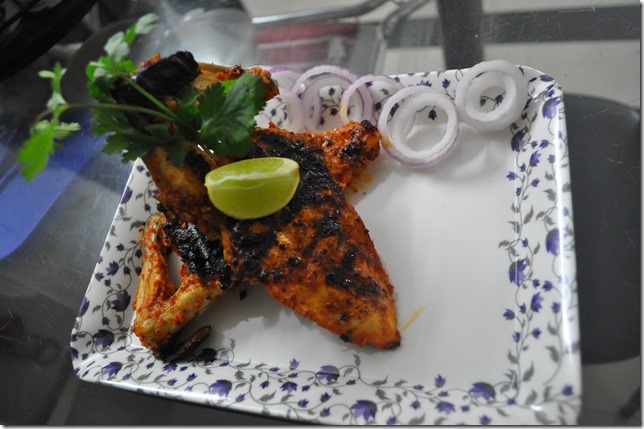 I want to try the second recipe Shilpa – it looks so yum-yum! Looks like you had great fun trying the grill and – good times ahead too! 🙂 Looking forward to more (vegetarian) recipes! The grill looks beautiful and it was great seeing you again in the video! The photos look good. Why don’t you put more on your blog – travelogues, interesting locales, etc.? Looks mighty useful. The food in the pictures sure looks good. Wow, the grilled sandwiches look awesome. i am preparing them right now. ohhh that looks soo soooo yumm!!! 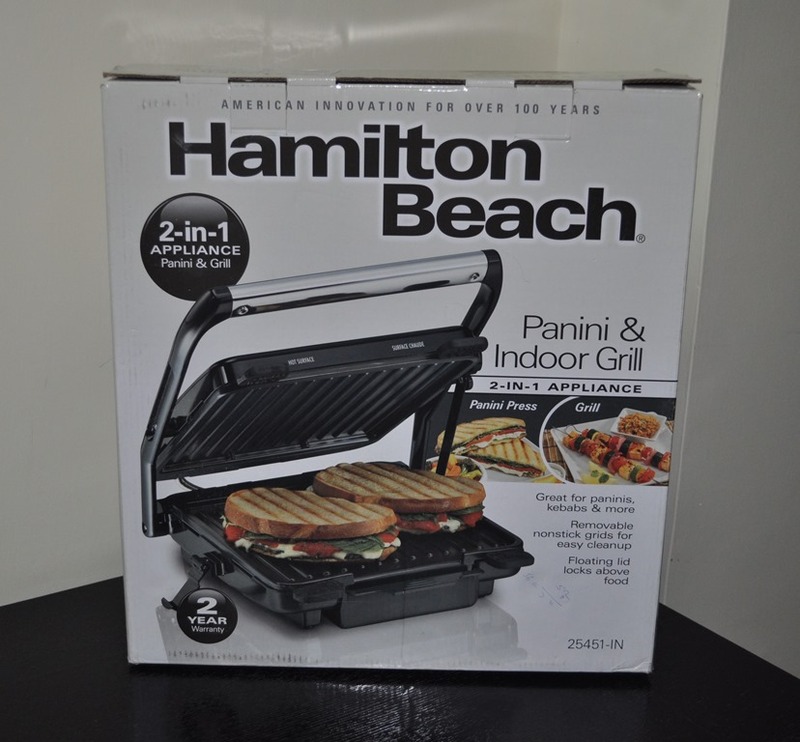 Congratulations on receiving the Panini grill. Looks like a very nifty little device. Chicken and aloo tikkis look yummy. Shilpa those tikkis looks absolutely like a professional chef’s job. And they made me hungry!! I’m a vegetarian so not looking at the chicken at all!! Oops my comment disappeared. Those look deliciously professional. The grill is awesome. The tikkis and that sandwich.. yum! Thanks for the nice recipes and the beautiful photos. I am now hungry. I am a vegetarian and so loved the second recipe. It is plated beautifully. 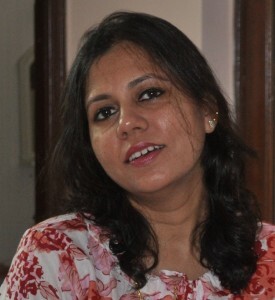 Enjoy the gadget, Shilpa! Good luck for you to get more and share more experiences. Everything’s done by KG. All I did was click pics and eat 😀 Thanks Asha! It’s 3:20am here Shilpa. But I must tell you I am feeling hungry reading your post and seeing the pics. The dishes look yummy :D.